On July 10, 2013, Joshua Goode found the first evidence of an ancient Texas civilization in Germany. Thus far, under the leadership of archaeologist Joshua Goode with support of the Aurora-Rhoman Institute of Archaeology and Cultural Relics, 200 artifacts have been discovered. First evidence of the Ancient Aurora-Rhome Civilization was found in Hilmsen in Sachsen Anhalt. The most impressive discovery was remains of the Mammoth Cowboy and the Unicorn TRex. These are archaeological breakthroughs in studies of Auroralithic Germany, confirming for the first time the presence of the Texan Aurora-Rhoman Empire in Germany. Presented here for the first time are artifacts from the on-going excavation. 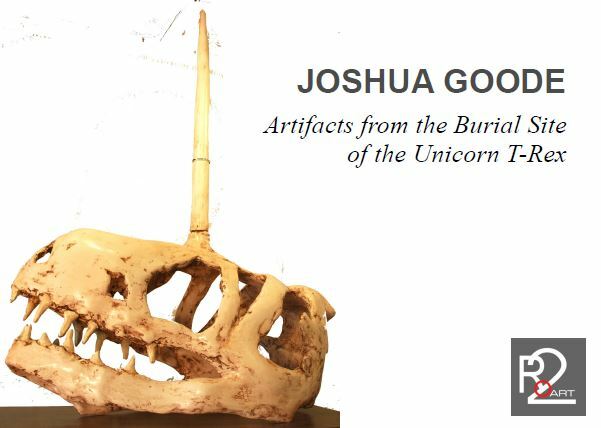 This exhibition focuses onthe items found in what is referred to as The Tomb of the Unicorn TRex.